Our Bryn Engan complex is the perfect retreat and workspace. Remote but accessible, in the heart of Snowdonia. Welcome to Bryn Engan – a beautifully secluded but surprisingly accessible business retreat and workspace in the heart of Snowdonia National Park. The complex comprises two separate buildings. The Anvil is a 13 bedroom farmhouse, perfect for corporate getaways and groups of friends alike. The Forge is a state-of-the-art work and classroom space, with a fully-featured mountain bike workshop on-site. The two buildings can be booked as a single unit, or individually depending on your company’s needs. A 13-bedroom farmhouse with a spacious lounge and kitchen; the perfect place to unwind after a day of taxing your body, brain, or both! A state-of-the-art classroom, breakout space and outdoor activity hub all rolled into one. Whether you’re preparing to embark on your next big product launch or an adventure into the great outdoors, we’ve got the facilities to match. 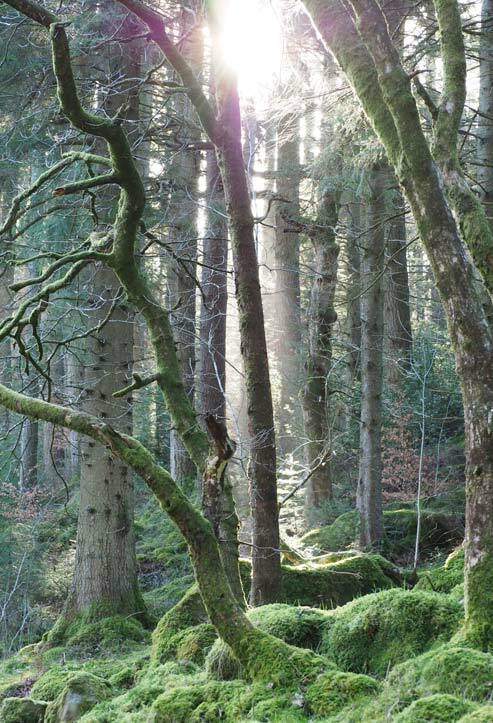 Bryn Engan is located in Capel Curig, just outside the beautiful village of Betws-y-Coed. The complex is easily accessed from the main road by a short forest track, and there is extensive car parking on-site. If you'd prefer to travel by train, please get in touch to discuss transfers from Llandudno Junction station. We're now taking bookings for Bryn Engan from the beginning of 2019. If you'd like to plan a meeting with a difference, please get in touch.